Get the lowdown on the Supra Boats @Supra_Boats Swell Surf System straight from a Supra Freak (#SupraFreak)! 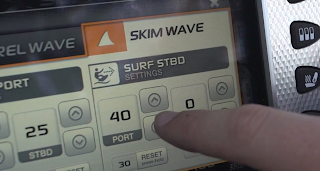 In this video the Supra Boats Matthew Hibbing takes you through operation of the Supra Swell Surf System (#SupraSwellSurfSys). From this video you can quickly learn the difference between the Skim and Barrel waves, how to engage each, customize your curl or even transfer your wave from side to side.